Love is in the air and my students love the Creation Station (my name for our MakerSpace) so this month we have a Valentine’s Day themed activity along with new Lego Challenge Cards. This is an idea I saw on a wonderful blog, Little Bins for Little Hands. The activity had students make hearts (or some of mine made bracelets) by using binary code. For this activity, I you will need plastic beads, pipe cleaners, binary code page and direction sheet. The instructions are fairly simple. I’ve attached a copy (Valentine’s Day Code Bracelets) you can use. Pick three colors for your bracelet/heart. Choose a color to be number 1. Choose a color to be number 0. Choose the word LOVE, MOM or DAD. Use the sheets provided to help you with your word’s special code. Follow the patterns on the sheets to make your bracelet. Put the beads on a pipe cleaner. Don’t forget to put a space bead between each letter. When you’re done, shape the pipe cleaner into a heart or circle and twist at the ends. Idea: The students loved making these. Many of them used the code to spell out words like LOVE, MOM or Dad, but others chose to make their own design often times showing their knowledge of patterns. It was fun listening to them explain their pattern or design to the other students. I love when I have an idea for something and I am able to find something online, especially if it’s free or relatively inexpensive, that I can use. I was fortunate enough to have some Legos donated to my library and wanted to put them to good use. Now it’s obvious to say that the kids love the Legos for building anything and everything their minds can think of, but I did find that some students wanted a challenge or focus for their building. With a quick internet search, it was easy to find resources for these students. Set up was very easy: put out the Legos and cards and watch the kids go. 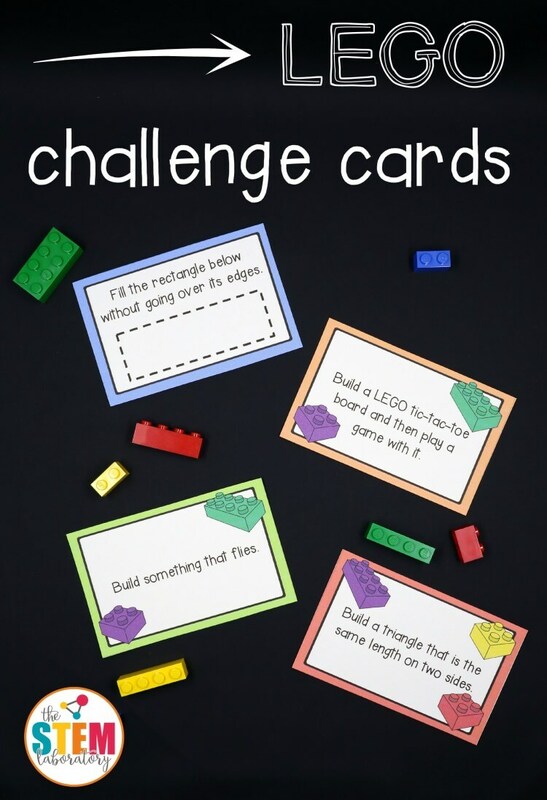 Lego Challenge Cards #1: The blog The Stem Laboratory is a great place to find MakerSpace ideas. This is where I found a wonderful set of FREE Lego Challenge Cards (just have to subscribe to the blog). The tasks ranged from very simple, make a pattern, to more complex, build a triangle that is the same length on two sides. The students have enjoyed taking a card and working together to create. 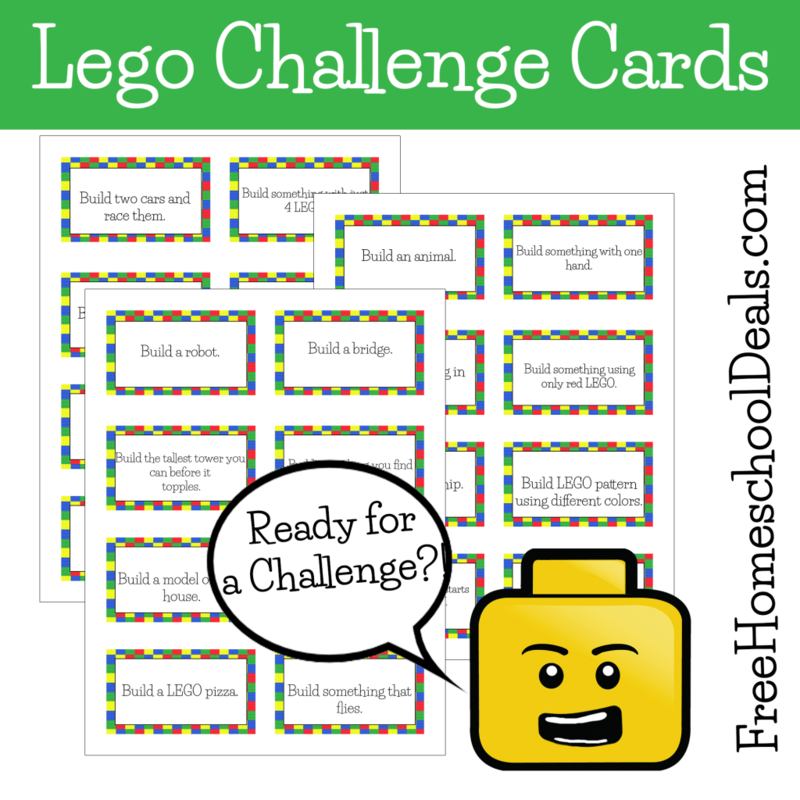 Lego Challenge Cards #2: The blog Free Homeschool Deals had another great set of FREE Lego Challenge Cards. With challenges like “Build A Lego Pizza,” it’s easy to see why these were a favorite of my students. 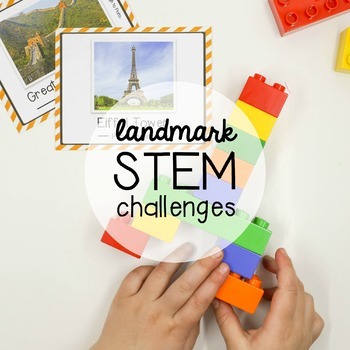 STEM Challenge: Build Famous Landmarks are great picture cards that use real pictures of famous landmarks from around the world to inspire kids to build those three sites and so many more. You can find them on Teachers Pay Teachers for only $3 through Playdough to Plato. I did not put out or copy the think sheet, simply put out the cards and Legos. 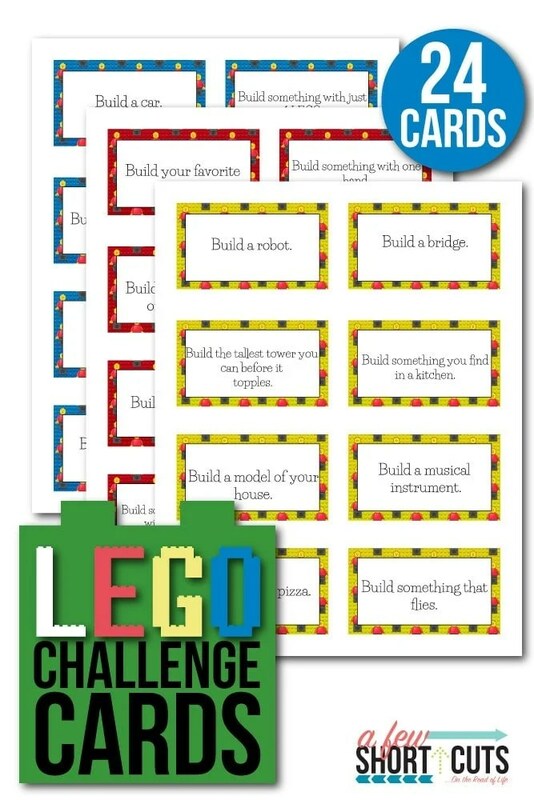 These are only a few of the many Lego Challenge Cards you can find out there. Hopefully these can get you, and your students, building.